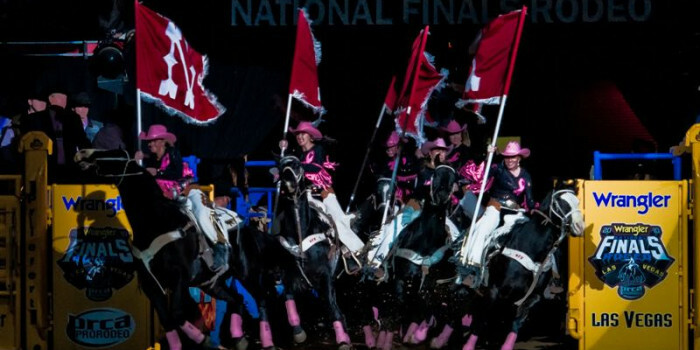 A milestone was reached Monday night at the 14thAnnual Wrangler® Tough Enough to Wear Pink™ (TETWP) Night at the Wrangler National Finals Rodeo. The grassroots cowboy campaign has exceeded the $28 million fundraising mark! The campaign was created in 2004 by Terry Wheatley, wine industry executive and matriarch of a professional rodeo cowboy family and Karl Stressman, former director of special events for Wrangler. The idea was to raise money and awareness for breast cancer by challenging rodeo competitors and fans alike to wear pink.Wrangler is the title sponsor of TETWP and a portion of proceeds from everything sold within the Wrangler Tough Enough to Wear Pink merchandise collection goes back to the campaign fund. 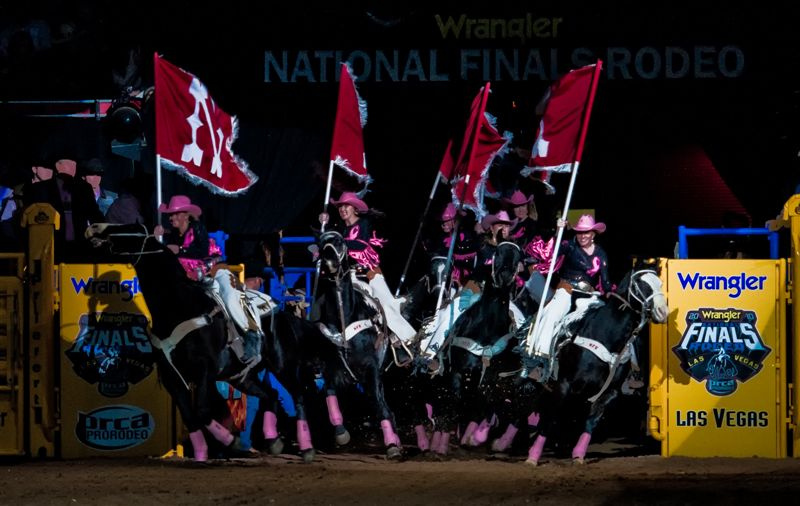 “When we started the Tough Enough To Wear Pink campaign in 2004, we were overwhelmed by the support from the Professional Rodeo Cowboys Association, businesses, rodeo athletes, rodeo committees and western communities across the country. What seemed like an impossible dream to raise$50 million by our 20th Anniversary in 2024 is well on the way to becoming a reality,” commented Wheatley, herself a breast cancer survivor. A notable example of the grassroots efforts is #1 PRCA rodeo fundraiser, Cattlemen’s Days Rodeo in Gunnison, Colo. A long-time Top Five Wrangler TETWP fundraiser, the Gunnison community has raised more than2.7 million dollars through the TETWP campaign to support the fight against breast cancer in their hometown. Lacey Wheatley, Terry Wheatley’s daughter-in-law,is the Director of Wrangler TETWP and coordinates with rodeos and other non-rodeo organizations to create the pink-themed fundraisers. Wrangler® TETWP™ was created by entrepreneur and breast cancer survivor Terry Wheatley along with Karl Stressman to bring the sport of professional rodeo and the western community together to rally against breast cancer. Since its inception in 2004,Wrangler TETWP has empowered rodeos in the U.S. and Canada to focus attention on the need for a cure. To date, the campaign has raised $28 million for breast cancer charities, most of which stays right in the local communities. The grassroots movement has inspired other sports communities to mount their own Wrangler TETWP campaigns, spreading a message of hope and support that reaches beyond the rodeo arena to competitors, families and fans across America. For more information on how to help, visit www.toughenoughtowearpink.com. Wrangler® has been an icon in authentic American style around the world for more than 70years. With a rich legacy rooted in the American west, Wrangler commits to offering unmatched quality and timeless design. Its collections for men, women and children look and feel great, inspiring those who wear them to be strong and ready forlife, every day. Wrangler is available in retail stores worldwide, including brand flagship stores in Denver and Dallas, department stores, mass-market retailers, specialty shops, western outfitters, and online. A VF Corporation (NYSE: VFC) brand, Wrangler is backed by one of the world’s largest apparel, footwear and accessories companies with socially and environmentally responsible operations spanning numerous geographies. For more information, visit Wrangler.com.